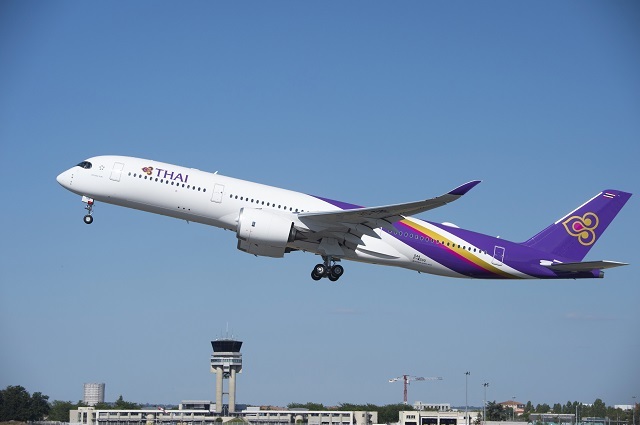 The Civil Aviation Authority of Thailand announced that flag carrier Thai Airways International has been recertified to the international safety standards of ICAO on May 8. Thai Airways is the third of Thailand’s international airlines to receive its AOC recertification as part of CAAT’s recertification program, in partnership with CAA International, the advisory arm of the UK Civil Aviation Authority. “Thai Airways has long been regarded as the national carrier. The success today should have significant impact not only on the company itself but also the overall confidence of passengers who plan to visit Thailand with Thai carriers,” said Dr. Chula Sukmanop, Director General of CAAT. CAA International was appointed by CAAT in 2016 to provide full-scale technical assistance and capacity building in the recertification of all Thai registered international airlines and to support CAAT ahead of its next ICAO audit. “This is another major milestone for CAAT, the Thai aviation and tourism industry,” said Maria Rueda, Managing Director of CAA International. “Thai Airways is Thailand’s largest airline, serving 80 destinations in 37 countries. We are delighted to have assisted CAAT in recertifying its flag carrier to ICAO standards, and we remain fully committed to supporting CAAT as we enter the next phase of this significant project”. Thailand is expected to be audited by ICAO later this year to address the Significant Safety Concern finding in 2015. CAA International will be providing audit preparation assistance to CAAT to help resolve the SSC.